Technology is all about convenience. 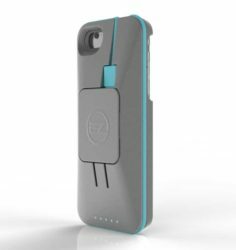 This EZ iPhone charger case helps you carry your charger as well as a built-in backup battery along with your phone. So gone are the days when you struggle with your messed wires in your bags or cry over draining phone batteries.